CityGrows lets its admin users (government staff members) customize some emails you receive from CityGrows. 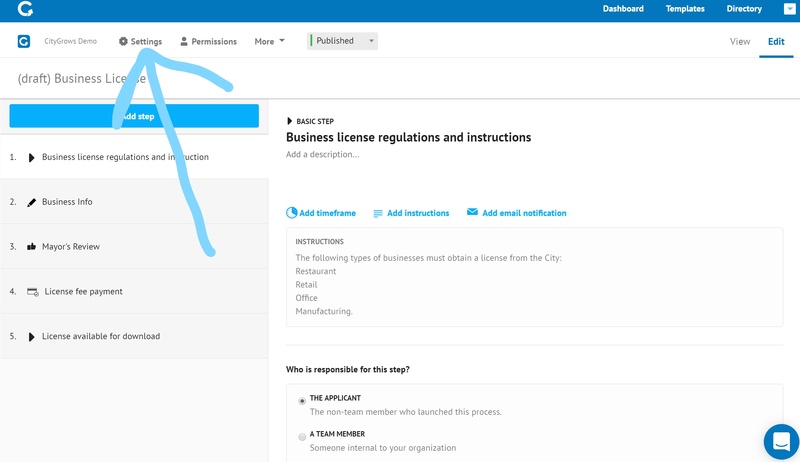 Please note that all email settings are linked to each process template, so you can set one set of rules for your government's Business License template, and another set of options for Dog Licensing - if you're an admin on both those workflows. Only admins can customize their email settings. People mostly want to receive less email, so the default setting for all these emails is to have them off. 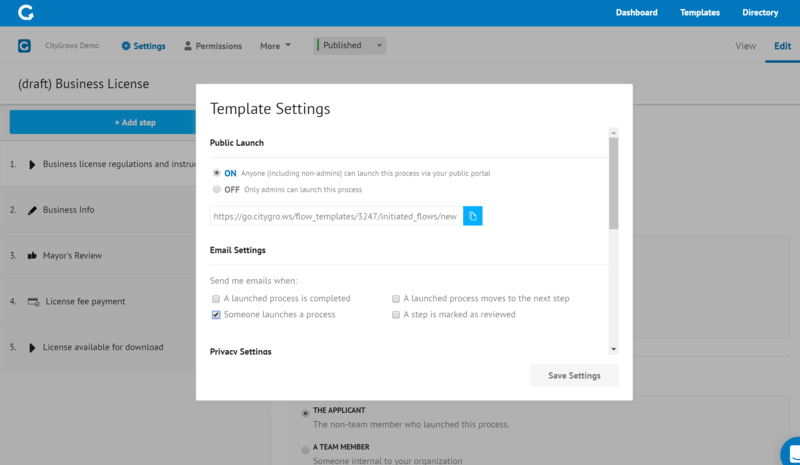 If you want to turn them on, you can access the settings menu at the top of the template editor page.